Want a same day drop in service for an MOT without booking an appointment? Are you currently looking for somewhere to have an MOT in Belfast because it is due for its annual check-up? By checking a vehicle’s road worthiness before an MOT, an expensive repair bill can be avoided. Our car mechanics in Belfast can help. 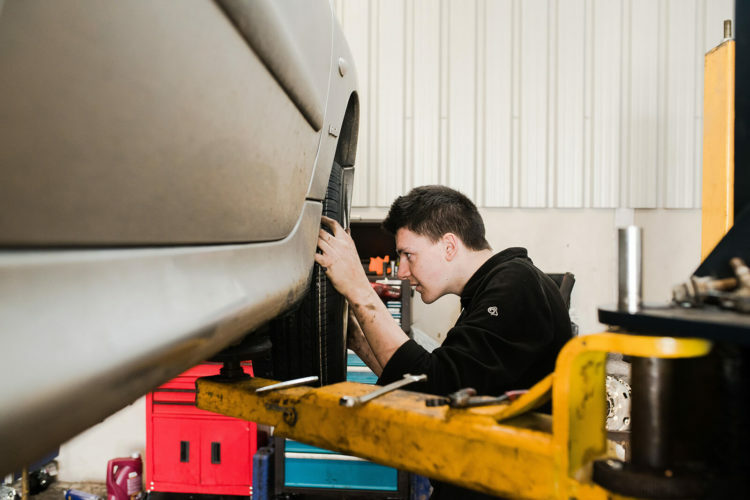 Gilnahirk Tyres and Exhausts are more than capable of carrying out a professional MOT preparation service so that a vehicle is in tip-top shape. Completed over the course of a day, our experienced mechanics will bring any issues to your attention. You can wait in our comfortable seating area or leave it with us and come back at the end of the day. Having an MOT in Belfast is necessary for vehicles which are older than three years. With 25 years’ experience, we know what to look out for when carrying out an MOT test in Belfast. Whilst some auto repair companies only check tyres and an exhaust, we will look at all of its parts to determine any tune ups or repairs which should be done. Arranging an MOT in Belfast can take a while. Family and work commitments can get in the way of finding an auto repair company which can complete an annual service for a vehicle. Gilnahirk Tyres and Exhausts can be responsible for your MOT in Belfast. Customers can rest assured because our experienced mechanics and technicians can prepare and test a vehicle. By booking an appointment with Gilnahirk Tyres and Exhausts, an MOT service can be done within the space of a day when a vehicle is left with us before 9am. When an MOT is done at one of our MOT centres, it will be determined if any modifications should be made which would prevent a vehicle from passing it. Any changes have to be approved by our customers beforehand. A vehicle will be retested for its MOT service on the same day. Situated on Gilnahirk Road and open six days per week, we are able to carry out very effective MOT services in Belfast. Competitive prices are charged for all of our work where warranties are provided for parts and labour. Why not choose Gilnahirk Tyres and Exhausts for servicing and MOT in Belfast? By calling Gilnahirk Tyres and Exhausts, your vehicle can be in the best possible shape for its MOT. Contact us to schedule vehicle servicing and MOT in Belfast.